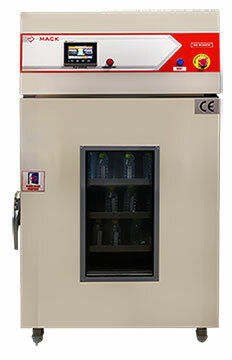 Mack pharmatech designs the BOD (Biochemical or Biological Oxygen Demand) Incubator which are used to maintain temperature, humidity, and other atmospheric conditions for the (Biochemical or Biological Oxygen Demand) test, tissue culture growth, storage of bacterial cultures and incubation. Incubators are important for experimental work in microbiology, molecular biology, and cell biology. These incubators are used for culture bacterial and eukaryotic cell.